Business ideas in Bangalore call for well-thought of plans and intelligent decisions. Small or big start-ups, all need sharp thinking, depending on the demand of the product and the supply chain management that is predominant in the city. Depending on the cost of living and other resources, plan your business ideas accordingly. Regulatory formalities requiring compliance with various labour and environment laws are time consuming and difficult in nature. Often, new and small firms are unaware of nuances of the issues and can be subjected to intrusive action by regulatory agencies. In order to make compliance for Startups/ new registered companies friendly and flexible, simplifications are required in the regulatory regime. In order to commence operations, companies require registration with relevant regulatory authorities. Delays or lack of clarity in registration process may lead to delays in establishment and operations of Startups, thereby reducing the ability of the business to get bank loans, employ workers and generate incomes. Enabling registration process in an easy and timely manner can reduce this burden significantly. Once you have done that, you have to venture out into capital and business development. 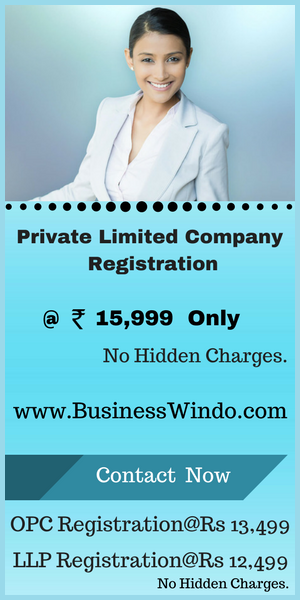 Company registration in Bangalore is simple; however, there are certain legal aspects of it, which need to be kept in mind. While you can opt for online registration, you can also hire agencies which can help you company registration. It is recommended to opt for the latter as there are number of requirements when it concerns starting a company in Bengaluru. Therefore, professional agencies can help you in finding legal lawyers, chartered accountants, and company secretaries. These agencies also help in accounting, preparing legal documents, business connections, trademark, and advisory services. These services, actually, help in providing end-to-end solutions in life cycle of business venture. There is no necessity of visiting the corporate office for registering a start-up or a new company. You can actually register it online, sitting in the comforts of your home. In fact, the registration also includes registration like Digital Signature Certificate (DSC), Director Identity Number (DIN) and filling up an e-form. Before registering the company, the director should acquire an identification number, which can be done by filing an eForm DIN-1. The second step involves acquiring the digital signature certificate. In order to ensure the security and authenticity of documents filed electronically, a valid digital signature is submitted electronically. The signature should be acquired by only those agencies that are appointed by the controller of certification agencies. The signatures can be obtained from TCS, IDBRT, MTNL, SAFESCRYPT, NIC, nCODE Solutions etc. The third step for business registration includes creating an account on MCA portal. This will enable you to pay the online fee. This is free of cost and all you have to do is click on the registration link. The final and the most important step include incorporating the company name, registering the office address, notice for the appointment of the company directors, managers and secretary. The form will also include the take and pay for their qualification shares. For each of the above-mentioned sections, you have to apply in Form INC-1, E-SPIE 32, E-SPIE -33 & E-SPIE- 34. It is to be ensured that both Indian and foreign directors need to have valid Digital Signature Certificates from authorized agencies.